Sensei David Unger will personally do a private student evaluation with you or your child to introduce the martial arts. This gives students and parents a chance to meet Sensei David and ask any questions they may have. This is a FREE 1 hour active shooter defense seminar. Learn some valuable tactics on how to defend against an active shooter. This course if for anybody ages 14+. If you work at a school, are on a security team, or just wanting to feel more prepared for any situation this seminar is for YOU! We will also be hosting a 4 week course (1 class per week) diving deeper into disarms, situational awareness, and how to fight back. If you come to our free seminar we have a special price just for you! There are only 20 spots available for this course so please RSVP quickly to secure your spot! We will send you a registration form via email for you to send back and secure your spot in this extremely valuable course. Lil' Dragons - This fun 6 month, twice a week program is specifically designed for children age 3-6. Children will learn basic listening, focus, eye contact and body control. They will learn these skills while practicing basic stances, blocks, punches, kicks, balance, coordination, combinations and memory drills. Children test for a new belt every 12-13 weeks based on attendance! Basic Trial Program - This 12 month program is a great intro to Martial Arts training! Students will train twice per week in age specific classes. 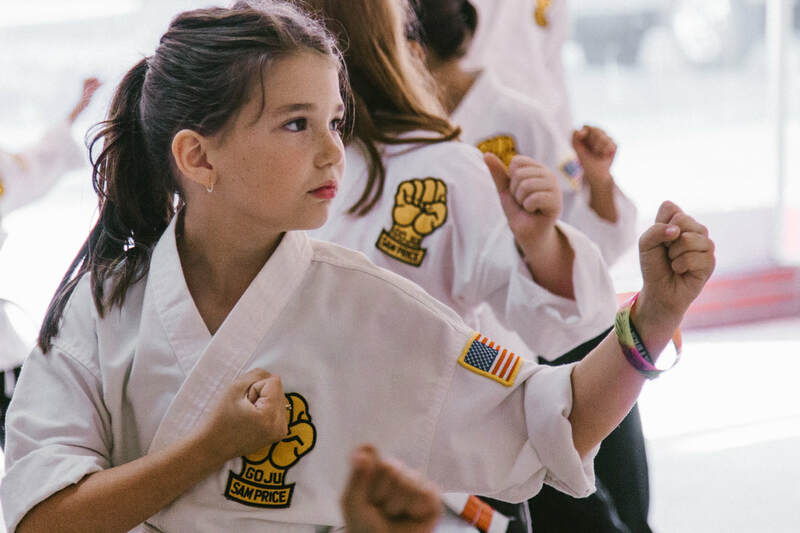 The students in this program will learn all basic stances, blocks, punches, kicks, self defense drills, sparring drills, flexibility, agility, takedowns and bully awareness and prevention. Belt tests will occur every 12-13 weeks. 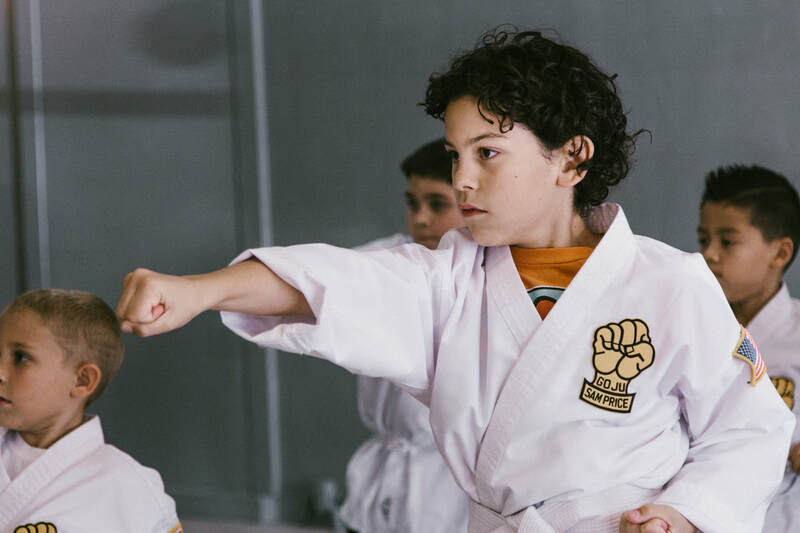 Children age 7-13 must train for a minimum of 6 months before being invited to Black Belt Training. Black Belt Training - For the more serious martial artist, this program meets three times per week including one weapons class! 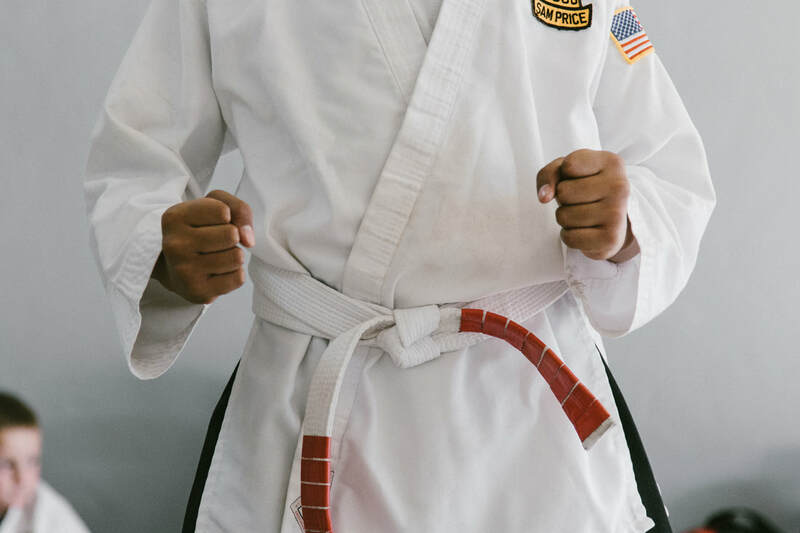 Designed to take a student all the way to Black Belt by the end of the three year program, this class includes all the features of the Basic Trial Program plus weapons training! Four weapons will be taught using a twelve week rotating curriculum: bo staff, escrima sticks, kamas, and tonfas. Students are held to much higher training standards and will increase their focus, body mechanics, spatial awareness and discipline. Ages 7-13 are invited into this program only after excelling in the Basic Trial Program for a minimum of six months. Ages 14+ automatically qualify for Black Belt Training! Elite Training - The Elite Training program is for most serious and dedicated martial artists. This one year program allows UNLIMITED ATTENDANCE to eligible classes! Elite students will learn everything in the Basic Trial and Black Belt Training curriculums PLUS weapons defense and disarms, multiple attacker drills, grappling and ground defense and leadership training which can lead to a Junior or Assistant Instructor position at the Academy! Children ages 7-13 must first train for a minimum of 6 months in the Black Belt training program to be eligible for Elite Training. Ages 14+ automatically qualify for Elite Training! Women's Self Defense - This fast paced, once per week class teaches a wide array of self defense tactics including basic stances, strikes, blocks, kicks, weapons and ground defense! Techniques learned in this class are taken directly from our traditional martial arts curriculum, but are taught a faster pace. Students will rapidly gain basic skills that can help them in the event of an attack. For women age 14+.